This was our third day in Mumbai city and we were enjoying our vacation to the fullest. The culture, language and cuisines, all was very different but fascinating. 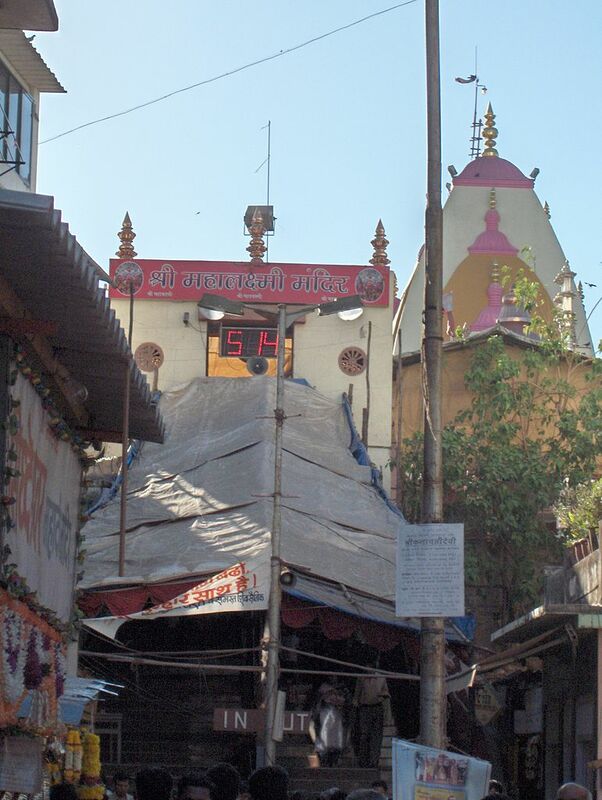 Mumbai is also a hub of temples and one such famous temple is the Mahalaxshmi temple. Though it is located at a considerable distance from our place of stay, we decided to visit the place by leaving early from the hotel. On the third day of our vacation, we had our breakfast early and kept some snacks with us, and headed towards the destination in the pre-booked taxi.We reached the temple at the expected time. It was early in the morning and still many people were there offering prayers. The environment was filled with serenity and fragrance of flowers and incandescent sticks. We entered the temple and realized that three deities are worshipped inside the Mahalaxmi temple – Kali, Saraswati and Lakshmi. The temple authorities have embellished the idols of these goddesses with gold ornaments, pearl necklaces and precious nose rings.However, the temple is named after the Goddess Lakshmi, whose main idol is installed on the far side of an ornamented gate. Goddess Lakshmi is seen sitting on a tiger, unlike the other places where goddess is seated on a lotus flower. The temple is considered sacred and is always visited by locals and tourists to offer their prayers to the goddesses. In the temple premises and outside are present numerous stalls that sell the things that are needed for offering prayers to the Devis. These prove to be immense help to the tourists who don’t know about the rituals or don’t have prior plans to offer ‘pooja’. All the things like garlands, flowers, incandescent sticks are available at these shops. We also bought the necessary things required and offered pooja to the Goddess Mahalaxmi.We were told that during the festival of Navratries, the temple gets packed up with devotees who wait in long queues to offer their prayers. India is undoubtedly a place full of faith and devotion. Every part of our country has place for worship and devotion. That is the power that keeps us moving. This entry was posted in Arts, Attraction, Temple, Travel and tagged mahalaxshmi temple mumbai. Bookmark the permalink.